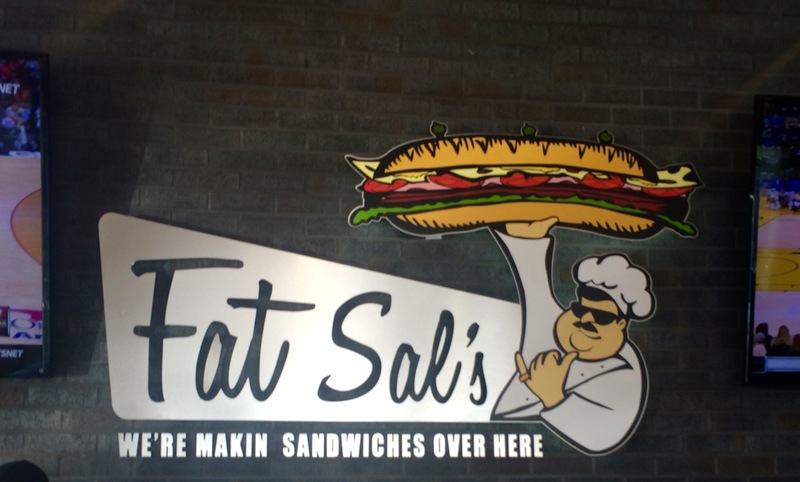 A couple of weeks ago while in Los Angeles, I stopped by Entourage actor, Jerry Ferrara’s Hollywood location to try his restaurant which is called Fat Sal’s. It has a “sports” type vibe with multiple flat screens showing all types of sporting events and fun music throughout. With a big menu to the left of the cash register’s (or iPad register’s) you can easily find what you want to eat! They have a variety of food such as Sandwiches, Burgers, Hero’s, Salad’s and Wraps. I ended up getting their sandwich called the Fat Sal. 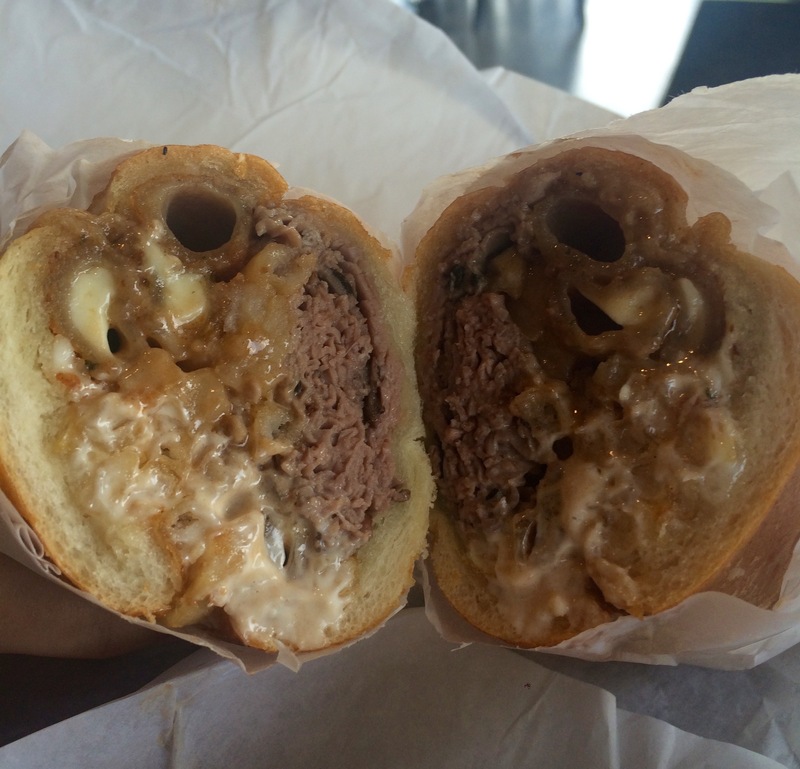 Â The sandwich contains roast beef, mozzarella sticks, onion rings, fries, brown gravy, mayo all on an extra wide garlic hero, which is basically garlic bread. I wasn’t sure about my choice at first. Â Especially when I realized that I forgot to order it without mayo (I hate mayo). But, when I got it and took that first bite there was no turning back. Although very unhealthy (definitely a “cheat day meal”) it was so amazing! I ended up going back a second time to take my Dad so he could enjoy the wonderful food and atmosphere that Fat Sal’s has to offer! I highly recommend stopping at one of his many locations! You have me craving a sandwich from there, it looks delicious and what a combination of different ingredients! It’s so good! It is way better fresh than taken out of the refrigerator.